Are you in the cloud? Are you concerned about security in the cloud? Do you want to have a better understanding of FedRAMP? Are you a 3PAO? If you answered yes to any of the above questions, then you should register for the SecureNinja School of Cybersecurity (SCS) class in Cloud Security and FedRAMP. SecureNinja’s 3-day Cloud Security and FedRAMP course is available in Washington, DC or on-site at your own location. It provides students with an in-depth knowledge of cloud security requirements, cloud security issues, cloud computing architecture and security concepts for the three types of cloud computing: Infrastructure as a Service (IaaS) , Software as a Service (SaaS) and Platform as a Service (PaaS), and explains what cloud service providers and agencies must do to understand the latest guidance provided by NIST and to meet the requirements for the Federal Risk and Authorization Management Program (FedRAMP). We are known as an expert in cloud security and one of only nine (9) selected Third Party Assessment Organizations (3PAOS) for FedRAMP. Our classes are provided by our Senior Strategists in Cloud Security, all of whom have demonstrated hands-on experience. Successful completion of this course provides each student with the Certified Expert Cloud Security Provider (CECSP) a Certification. 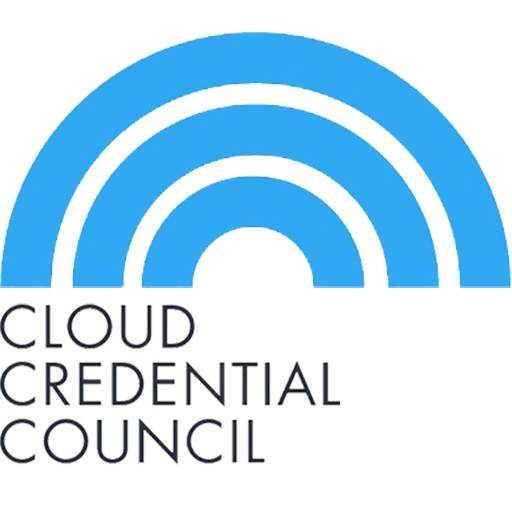 The course also provides the foundation for the Certificate of Cloud Security Knowledge (CCSK) exam conducted by the Cloud Security Alliance. This program is delivered in partnership with Lunarline, Inc. All courseware meets all of the elements of the Committee on National Security Systems (CNSS) for Information Systems Security (INFOSEC) Professionals, NSTISSI No. 4011 National Training Standard. As opposed to what you find with similar training offered by many competitors, our Information Assurance Training Courseware has been evaluated and certified by the National Security Agency (NSA) and Committee on National Security Systems (CNSS). We continually update and enhance our courseware in order to stay current and as a part of our ISO 9001 process. Our instructors are only certified to teach our courses after they have demonstrated real-life experience and then after having been through the coursework themselves. We ensure you have the best possible training possible. We have a passion for training everyone that wants to learn or needs to know Information Assurance or Cyber Security. Our customers consistently rate our courses as the best Information Assurance, C&A, Cyber Security, and Government sponsored courses they have taken. We alone cannot tackle all the cybersecurity issues and threats – but we can help train the US workforce to better identify, respond, mitigate, and recover from the ongoing and ever-changing attacks. We are experts in Information Assurance and Cyber Security – all of our instructors also support customers and deal with the same issues as you do in the ever-changing arena of cybersecurity and the information security landscape. Our approach to training is not purely academic, we understand the varying degree of knowledge and experience of our students, the many faces of the threat environment, as well as the plethora of compliance issues. We tailor our courses to the audience. We not only understand “one size does not fit all,” we live it. We provide lessons learned and the “how to” that comes from real hands-on practical implementation. Our coursework and class exercises prepare our students to succeed. We are a well established, respected, and award-winning Information Assurance / Cyber Security company providing training, consulting, and solutions. We have been successfully providing security program and security engineering support for some the largest and most successful Federal, DoD, IC, and Fortune 500 customers in the world. IT and generalized training and consulting companies may be able to help train you on how to build a web server, but don’t rely on them to provide in-depth training on how to secure it or ask them to provide specialized IA and cybersecurity training. Information Assurance and Cyber Security training is not something you can take lightly – we don’t take it lightly either. U.S. Army Specific materials that include APMS, AR 25-2, AR 380-5, Army Certificate of Networthiness (CON), Army Gold Master, ACA Scoping Document, Best Business Practices, and any Army specific artifacts. U.S. Air Force Specific materials that include: Enterprise Information Technology Data Repository (EITDR), AFI 31-401, AFI 31-501, AFI 33-202, AFI 33-211, AFI 33-204, Air Force ATC, and Air Force specific artifacts. U.S. Navy DIACAP Specific Material that includes: ITPR-DON, DON DIACAP Handbook, and Navy Specific Requirements. U.S. Marine Corps DIACAP Specific materials. DISA Security Technical Implementation Guides (STIG), Security Readiness Reviews (SRR), Gold Disk, and Retina. COCOM / Joint and external Requirements that include: OMB, DNI, CNSS 1199, CNSS 1253, FISMA, NIST SP 800-53, NIST SP 800-37, NIST 800-39, ICD 503, DCID 6/3, JFAN 6/3, CJCSI 6510.01E, CENTCOM and SOCOM specific requirements.